The need to transport resources faster, safer and conveniently to support specific high priority events or projects in diverse locations across the world, largely accounts for the demand for air charter services. Air Charter entails renting an entire aircraft for the purpose of moving people or cargo from one location to another across the globe. Be it Group, Private or Cargo Charter, the benefits include operational efficiency and convenience. Air Craft Charters are generally arranged to guarantee flexibility and comfort of the charter party. This is so because they do not need to follow the routine schedules of commercial airlines and above all, they’re at liberty to craft their own flight itinerary but would require the service of an expert broker (licensed agent) to manage the end-to-end technical intricacies and regulatory requirements. The Broker’s Pedigree: Proven capacity and technical competence are key considerations for hiring an Air Charter Broker anywhere in the world. Once this is done, the critical steps to take at every stage of the entire process are defined; potential risks are identified; the operational processes and the cost implication of potential errors are clearly understood and addressed from the start. Importantly, a highly knowledgeable and technically proficient broker will understand the end-to-end processes and procedures; country-specific permits and regulatory requirements for diverse cargo charter services. Costing: Type or size of aircraft, origin and destination points or city pairs are key determinants of the cost of air charter. A city pair may be a single non-stop flight segment, a direct flight with one or more stops, or an itinerary with connecting flights. This is one of the reasons the services of a highly knowledgeable broker are required to offer advice on the most cost-efficient option(s). Other key determinants of cost range from the type of nature of the cargo, its/their dimension(s), weight, whether cargo will be transported as a part or full charter, and delivery timeline. Communication: Once expectations are clearly communicated by project owners and clearly understood by the broker, it makes execution seamless because it becomes clear from the start whether the shippers’ priority is cost reduction or delivery schedule irrespective of cost or safety at any cost (due to the value or sensitivity of cargo) or otherwise. Talking about cargoes of high value, sensitivity or other of other important considerations may require special kind of insurance cover, safety requirements – which may include special or priority packing. All these important technical details must be communicated from the start to avoid costly errors. The foregoing considerations are key to deciding whether to charter, how to go about it and which broker (licensed agent) to engage to achieve the set objective(s). In case you have been searching for a competent partner who understands the peculiarities of diverse air charter requirements, search no more! You can trust Fortune Global to deliver per your requirements in line with global best practice. 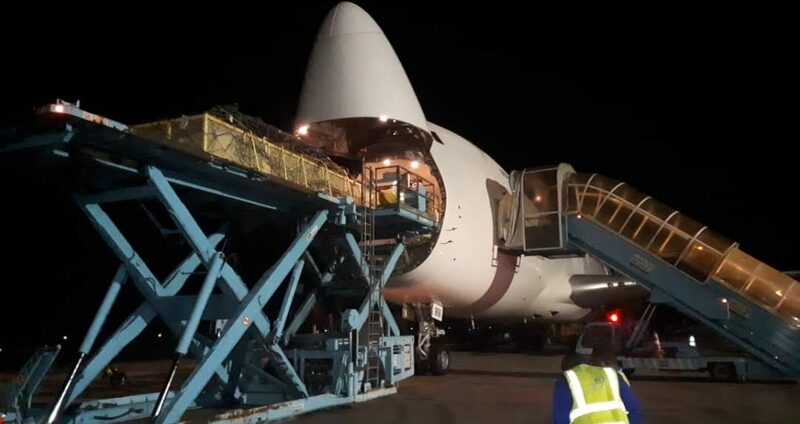 Just recently, we demonstrated our capacity and technical competence in the supervision of the end-to-end process of a cutting-edge air charter project involving the exportation of 100-ton equipment from Port-Harcourt, Nigeria to Houston on behalf of a high-profile IOC. We have evolved on some of the most innovative ways of handling air charter, as well as our knowledge of the technical details and regulatory formalities involved in the movement of project or high priority cargoes along major air routes around the world.